A scientist rebuilds a robot in the form of a teenage girl, who then discovers her dark past. Director Robert Rodriguez and screenwriters James Cameron and Laeta Kalogridis's Manga adaptation Alita: Battle Angel opens with a neat bit of visual gimmickry as the 20th Century Fox logo morphs to read '26th Century Fox', reflecting the film's future setting. It's one brief moment of innovation in a derivative film that, much like its titular robot, is welded together from various other sources. Based on a series from the '90s heyday of Japanese animation, Alita: Battle Angel stars a combination of a mo-capped Rosa Salazar and much CG as the eponymous Alita, a robot pieced together by scientist Dyson Ido (Christoph Waltz), who names his new creation in honour of his late daughter. Part Pinocchio, part Frankenstein's Monster, Alita learns of her past as a military weapon destroyed during a catastrophic war that devastated the earth three centuries earlier. The like of her tech has never been seen since, and so she attracts the attention of Nova (a blink and you'll miss him Edward Norton), the overlord of 'Motorball', the Nascar-meets-Rugby sport that holds the citizens of this future world in thrall. Enlisting Ido's ex-girlfriend Chiren (Jennifer Connelly) and human tank Grewishka (Jackie Earle Haley), Nova orders Alita destroyed and her parts brought to him. Nova communicates through the body of Mahershala Ali, who seems to be recycling the same outfits he wore in Green Book here. The movie plays out in a generic Blade Runner-esque metropolis called Iron City, while above the clouds hovers Zalem, a floating city populated by the elite, a concept we saw as recently as Neill Blomkamp's 2013 Elysium. Motorball is for all intents and purposes, Rollerball with robots. Elsewhere there are elements borrowed from The Wizard of Oz, Hitchcock's Saboteur and numerous Cameron productions, including Titanic, Terminator and his TV series Dark Angel, which boasted a central premise clearly inspired by the original Manga. 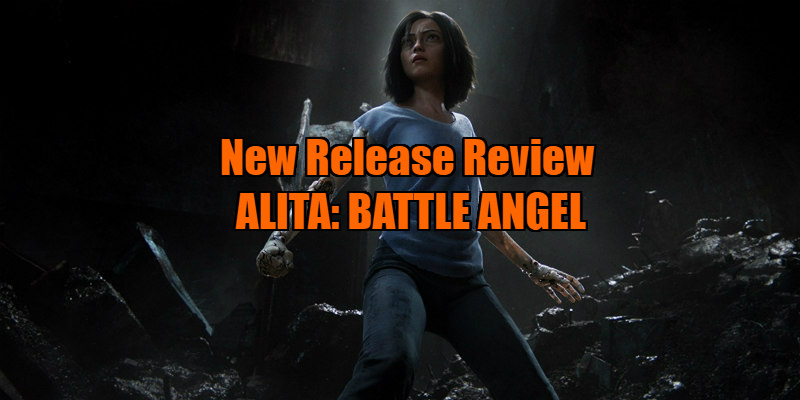 Alita: Battle Angel adds nothing to the sci-fi canon, and it fails to do anything clever with the components it scavenges from cinema's scrap-heap. Alita herself is admittedly quite the impressive creation. I can't tell how much is down to Salazar's mo-cap turn and how much is the work of Cameron's crew of digital boffins, but it's easily the most emotive performance in the film. When a character calls Alita "more human than any human I've ever known," he's not lying, as everyone else delivers mannequin-esque performances, not helped by Cameron's notoriously crude and functional at best dialogue. That said, there's no real reason why Alita couldn't have been played physically by Salazar, as is the case with the cyborgs essayed by the likes of Ed Skrein, Jeff Fahey and Eiza González. Too simplistic for seasoned sci-fi fans and too grim for kids (a moment involving a cute Toto stand-in dog will likely provoke nightmares), I'm not sure who Cameron and Rodriguez think this film is for. 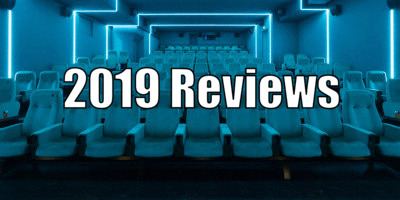 The whole affair comes across as a film made purely as an opportunity for Cameron to experiment with technology ahead of his returning Avatar franchise. Cameron will likely hail it a successful trial, but for the audience it's just that - a trial! Alita: Battle Angel is in UK/ROI cinemas February 6th.